Ok, it sounds a little fancy. But, it is so easy. Much easier than baking a cake or loaf. You just have to heat, blend, assemble, and enjoy. 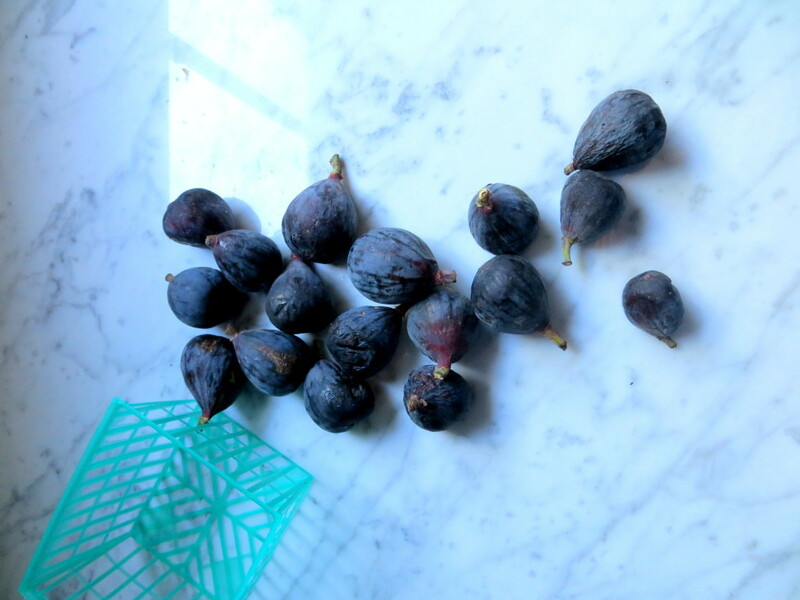 You just need one basket of figs. Cut then almost in half, turn one quarter of a turn and cut 3/4 of the way to the bottom of the fig again. 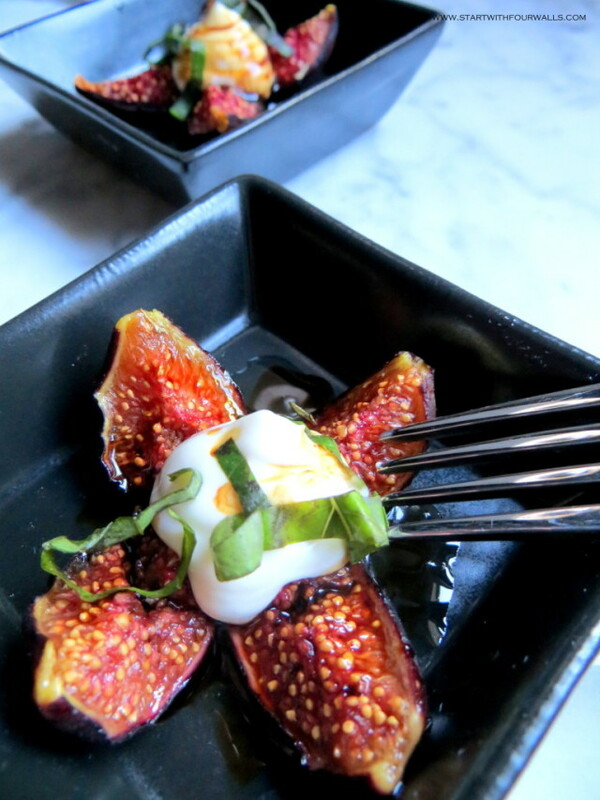 You might need to coax the fig a bit to open. 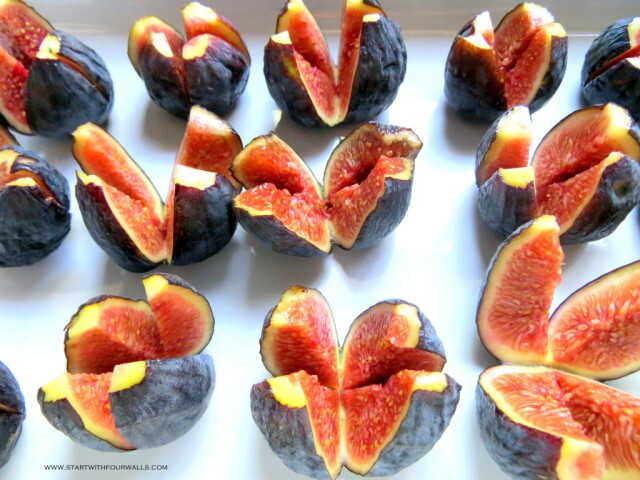 You can also just cut the figs in half. They will still look beautiful. 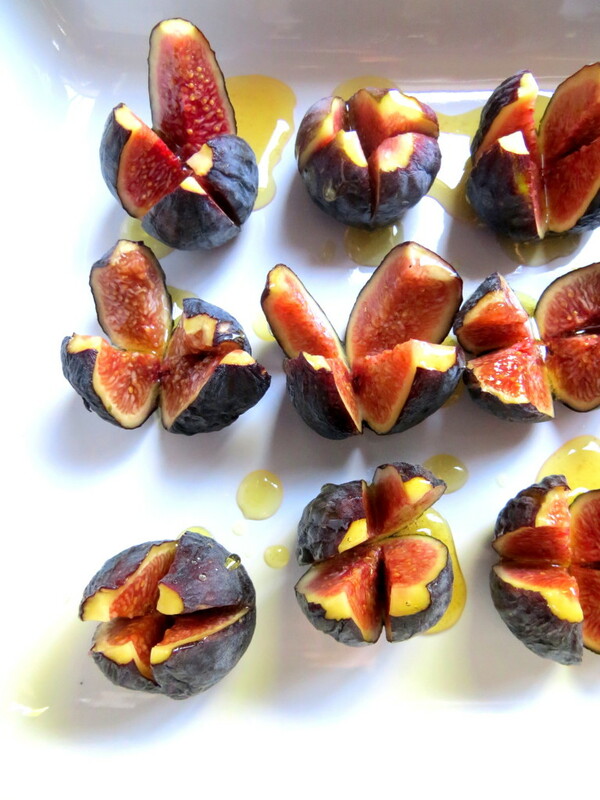 Drizzle some honey over each fig. 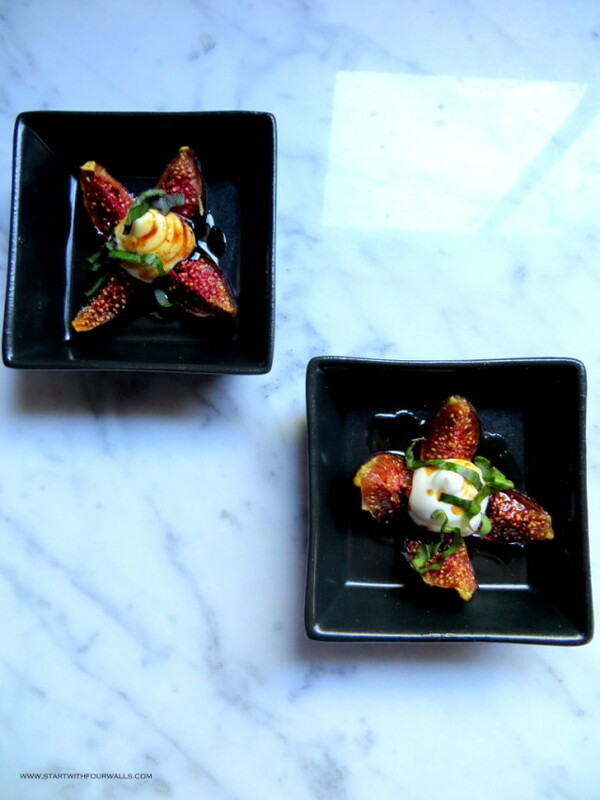 When you take them out of the oven, let them cool so that the whipped feta doesn’t end up melting into a puddle when you put it on top of the fig. 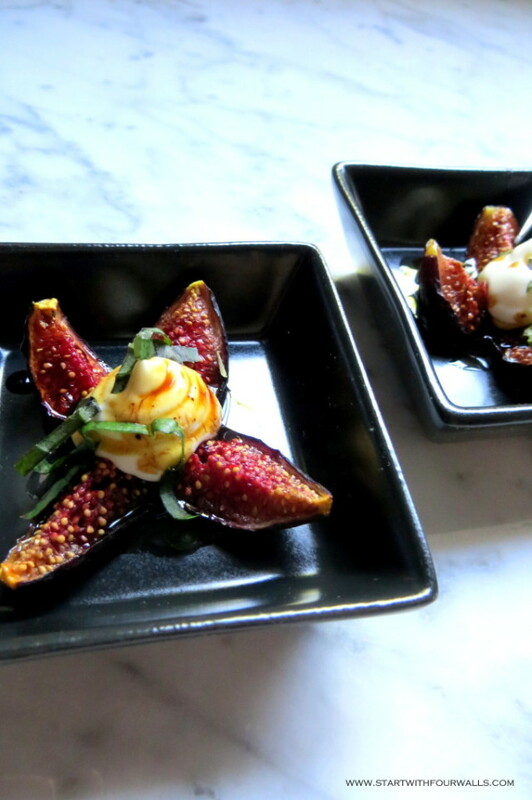 Add a few drops of your balsamic reduction and a few sprinkles of basil and you are done! These would be amazing with crushed, roasted hazelnuts sprinkled on top as well. 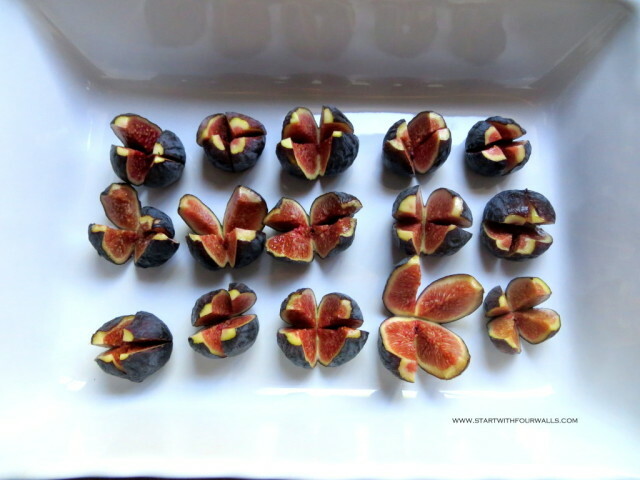 Cut the stems off the figs, then cut the figs 3/4 of the way down, turn 90 degrees and make another cut 3/4 of the way down the fig. 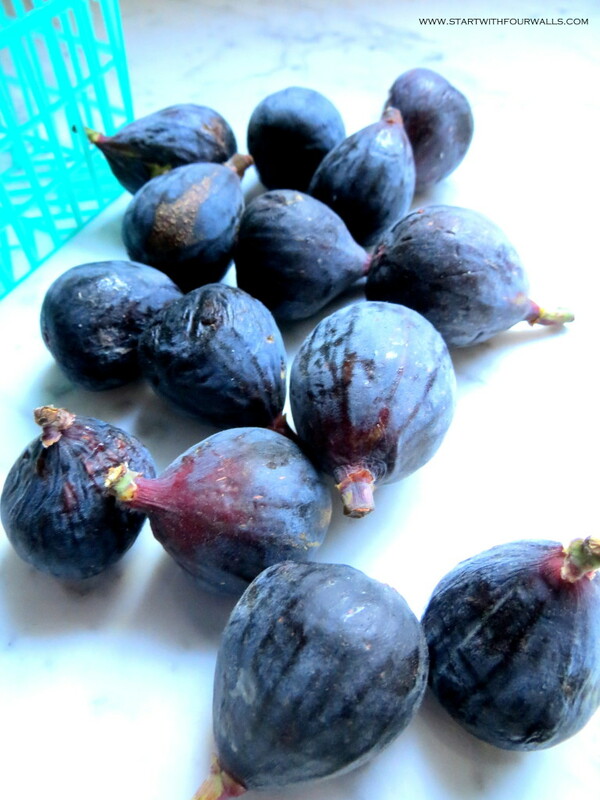 Place figs in an oven safe dish. 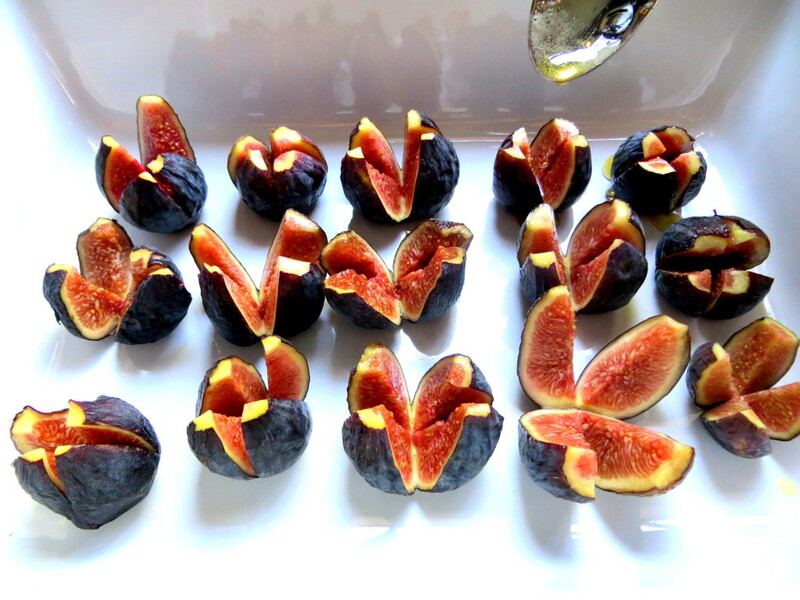 Pour a small spoon full of the honey over each fig. 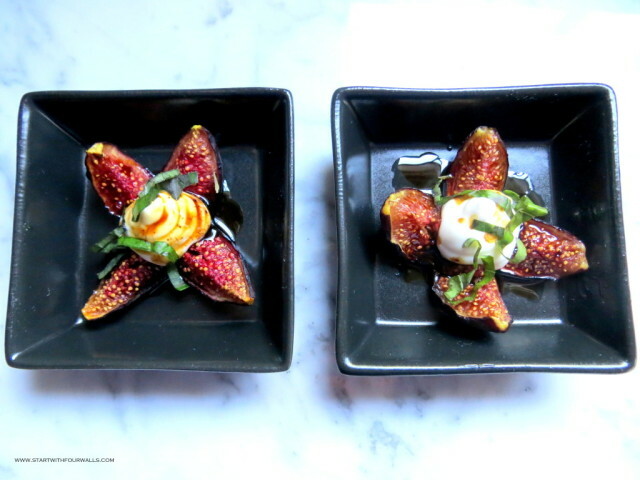 Place in a 375 degree oven for 15-20 mins, until you see some caramelization on the fruit. 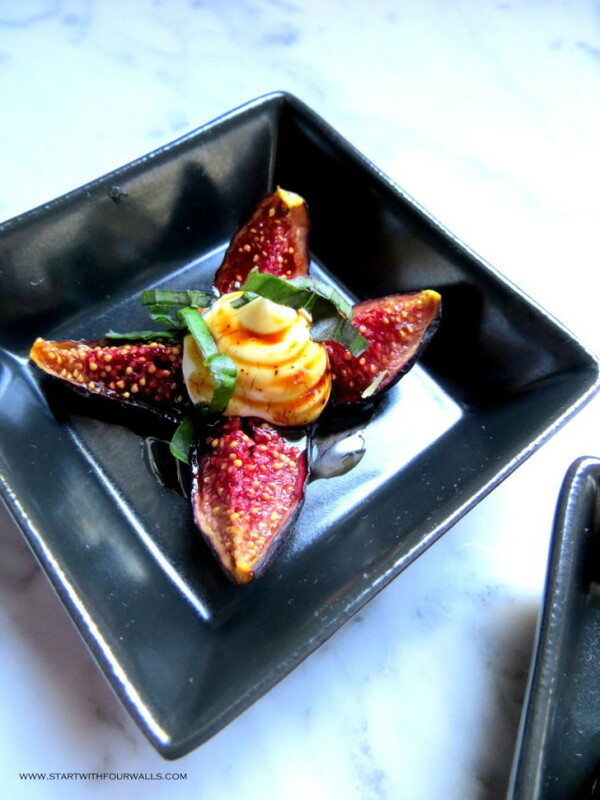 While the figs are in the oven, add the feta and the cream cheese to your food processor and blitz until smooth. You may need to scrape down the sides of the bowl periodically to make sure every last feta chink is incorporated. This could take a couple of minutes, so just work with it until you have the consistency you want. Put a few spoonfuls of the whipped feta mixture into a ziplock bag and cut off a small corner from the bag. Place in the fridge. Pour the balsamic vinegar into a saucepan and turn then heat to medium. Bring the vinegar to a simmer and let it reduce by half. This could take up to 5 minutes. 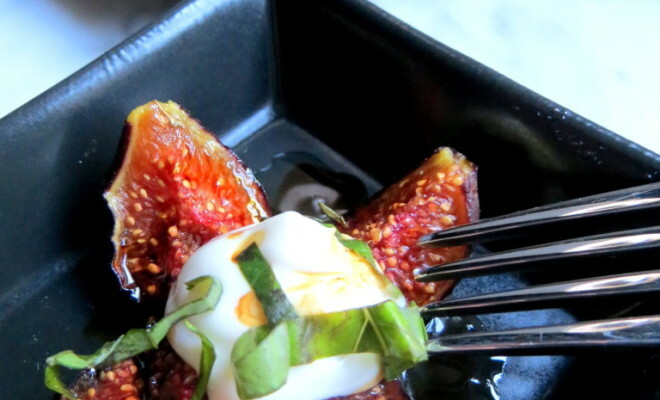 When the figs have cooled, grab your ziplock bag full of the feta mixture and squeeze a small dollop of feta over each fig. Drizzle with a few drops of balsamic, and sprinkle with chopped basil leaves. 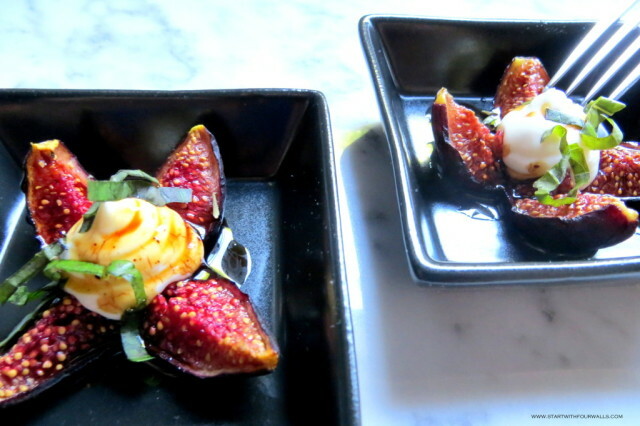 Whipped feta recipe from How Sweet Eats, balsamic vinegar reduction via Damn Delicious. Linking to A Stroll Thru Life.